Do you know the secret to senior health and happiness? If you are an older adult who is looking for a better quality of life, then the answer may be to take more of a stance when it comes to your mental and physical health, as well as adding these health-boosting habits. As you age, taking proper precautions for your health and safety becomes more of a priority. Living alone, decreased mobility, and chronic health issues are all factors that can make senior life more stressful, but technology can provide some much-needed peace of mind for you and your loved ones. Many seniors with mobility limitations, for example, turn to updated medical alert systems to make it easier to call for help in the event of a fall or household accident. You can visit ConsumersAdvocate.org to find out more information about these life-enhancing alert systems and decide which one may be right for you. Other tech can come in handy for tracking your health as well. Two popular wearable devices, Apple Watch and FitBit, also take note of your daily activity level and heart rate, which can be beneficial for managing various chronic health concerns. Finally, look into how a smarter home can make your life more comfortable and secure. Aside from convenience, integrating your lighting and other household devices with your smartphone or voice is an innovative way to reduce falls and make aging in place safer and more achievable. If you want to stay in control of your health and happiness, there’s no simpler solution than taking better control of your diet. Food choices can impact much more than your waistline (although that’s important too). The food you eat determines the health of your gut as well, which is connected to your mood and mental health. So, centering your diet on better gut health choices, such as taking a daily probiotic, can make a major difference in the way you feel, in addition to improving the way you look. You can also boost your mood and gut health by adding healthy fermented foods to your balanced daily diet. Have some yogurt for breakfast or get your probiotic boost from kimchi and fermented veggies. There are so many ways to feed your gut what it needs, but you should also look for a clean eating plan that supports other aspects of your mental and physical health. Many experts recommend food choices based on the Mediterranean diet to help keep seniors strong and sharp. Lean proteins can help keep you satisfied, whereas healthy fats improve cognition and may even help prevent dementia and Alzheimer’s disease. Self-care is something that has been talked about more and more in recent years, but don’t think that self-care has to be complicated. Self-care is simply any practice you follow to nurture your physical, emotional or spiritual well-being. 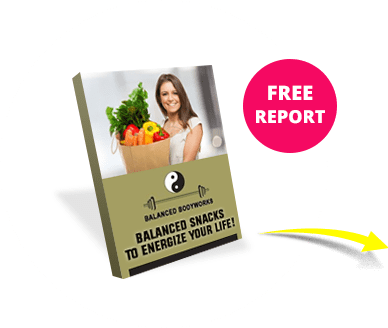 This can mean making the changes to your diet and lifestyle listed above or taking additional steps to stay in control of your health and wellness. Exercise is one of the most essential self-care methods seniors can use to maintain healthy bones and prevent falls, so find a new workout routine that keeps you fit. 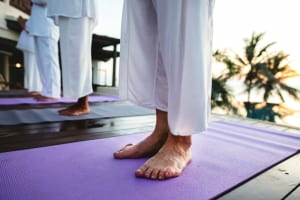 Yoga is often touted as an effective, gentle way for older adults to stay physically active, and this practice has added benefits for your emotional health as well. Lowering your stress levels with some mild yoga poses can also make it easier to get the sleep you need to stay healthy. Quality sleep is another basic aspect of self-care that seniors should focus on, so stop any health issues or worries from keeping you up at night. Avoid afternoon cups of coffee or tea if you have troubles falling asleep at the end of the day, and try to maintain a consistent bedtime and wake-up time to keep your internal clock set properly. You can get a better handle on your happiness by getting a better handle on your physical and mental health. Use these helpful wellness tips to take back control of your life!